Solar heating and cooling has not been bankable yet despite various systems confirming expected performance and O&M costs. Project budgets are usually too small and the technology suppliers do not pass the stringent requirements of creditworthiness, which leaves the financial provider with a high-risk scenario. Accordingly, Energy Service Companies (ESCOs) have faced severe financing issues, which slow down the expansion of their business. It is good news to them that two recently launched projects also focus on facilitating the creation of an investment fund for solar thermal ESCO projects: First, there is the Feasibility Study - Energy Contracting Fund, which is jointly coordinated by the German Investment and Development Corporation Bank (DEG) and German SHC turnkey provider Industrial Solar; the second project, TrustEE – enhancing investment conditions for industrial energy efficiency and renewable energy projects, is from the EU and has been coordinated by Austrian institute AEE INTEC. “Often, economic projects are not realised because of a lack of financing options, which is a failure on the side of the market,” said Werner Warmuth, Business Development and Quality Manager at PSE, and supporting partner of the DEG project. “Together with the DEG, we would like to evaluate the available project pipeline of energy performance contracting among the broad range of renewable energies and energy efficiency in emerging markets.” The aim is to gather a larger number of case studies with attractive returns on investment and prove that an Energy Contracting Fund is indeed necessary. 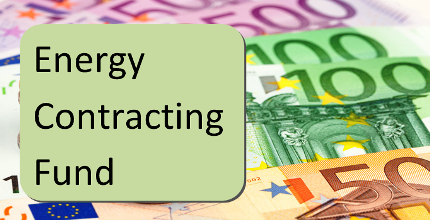 ESCOs and investors have been invited to submit a brief description of a potential contracting project to PSE by using the attached project proposal form. “All information will be handled confidentially,” the attached one-page flyer on the DEG project assures. Case studies submitted to the DEG project members should show an investment of above EUR 100,000, including either PV, solar thermal, heat pump, combined heat & power, biogas, biomass or energy efficiency technology, and they should be located in countries with an emerging market economy. “We decided to open up the project pipeline to all sorts of renewable and energy efficiency technologies in order to increase the average profitability for funding institutions,” added Warmuth. TrustEE sees a large untapped potential for efficiency measures in the industry, often in combination with the use of renewable energy sources in EU countries. The six project partners, led by Austrian AEE INTEC and including German partner Fraunhofer ISE, have concluded that these types of projects have a hard time when trying to gain access to conventional funding. SMEs in particular face challenges when carrying out projects, as the parties involved may not be considered creditworthy and the technological solutions may fall under the category of high-risk investments. “Within TrustEE, we analyse project investment conditions and improve these conditions for technology suppliers offering efficiency in process heat and investment opportunities in sustainability,” explained Pedro Horta, head of working group Thermal Industrial Processes and Systems at German institute Fraunhofer ISE. “Our support may come in the form of attractive financing options or stronger guarantees.” TrustEE will start gathering European projects on energy efficiency and renewable energy in the industry at the end of 2016. Although the EU project consortium has a fairly different focus on potential projects and case studies, its coordinators still see synergy potential in joining forces with the DEG project group. Part of TrustEE´s deliverables is an online tool which allows the technological and financial evaluation of project proposals. It is under discussion whether this online tool could also be used by the DEG project group to present their project pipeline. A key aim of both projects is to help suppliers in presenting project proposals as part of an attractive package to bankers and fund investors in order to facilitate the creation of an investment fund. A diverse project portfolio, which includes investments across the EU as well as emerging markets and a host of different technologies from renewable heat to electricity, will help mitigate the risks faced by fund investors.